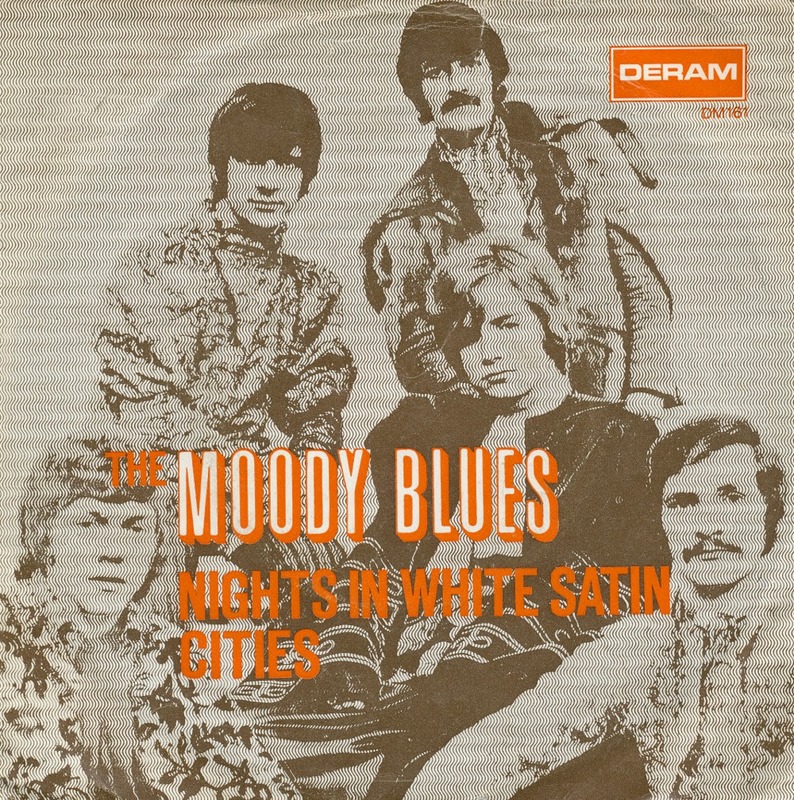 There's not much to write about the Moody Blues' 'Nights in white satin' that hasn't already been written about hundreds or thousands of times. The single reached number 19 in the UK singles chart in 1967, number 2 in the Dutch Top 40 in 1968 and number 2 in the US Billboard Hot 100 singles chart in 1972. The single was re-released in the UK that same year, and reached number 9 on that occasion. But the real surprise on this disc - and we know record collecting is full of surprises - is the B-side. 'Cities' is a bit of a doomy look on cities, where 'rivers are sewers' and 'flowers don't grow'. I never heard this track before buying this single, and so it is a real discovery. 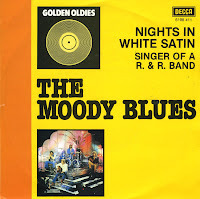 The classic 'Nights in white satin' was first featured on the Moody Blues album 'Days of future passed'. Band member Justin Hayward wrote the song at age nineteen in Swindon, and titled the song after a friend gave him a gift of satin bedsheets. The song itself was a tale of a yearning love from afar, which leads many to assume it is a tale of unrequited love endured by Hayward. The track was originally over seven minutes long, but it was edited for the single version, omitting spoken poetry and orchestral passages. 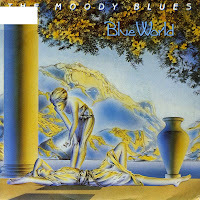 The Moody Blues were in the business forever, it seemed. I grew up with the fact that 'Nights in white satin' was an old classic song from before I was born. Still, there they were in 1983 with a new album. I was never really impressed with those old-timer songs (I grew to appreciate old recordings when I was older) but the new single 'Blue world' made a big impression on me. I couldn't understand why it didn't make the Dutch Top 40. Meanwhile, it was a modest hit in the UK, making number 35 in the singles chart.